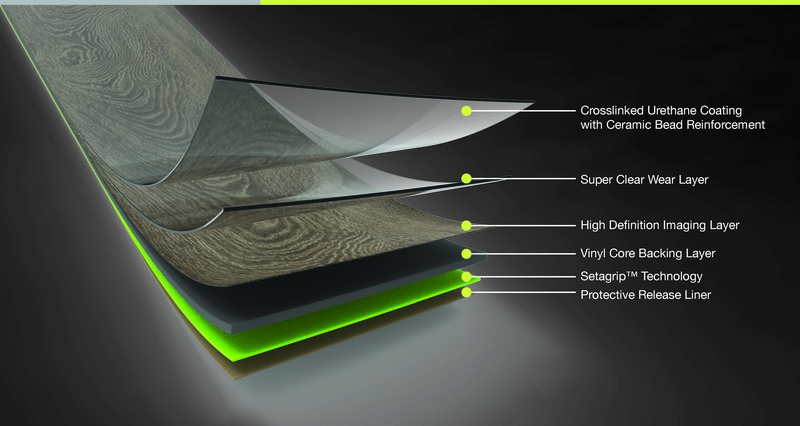 Architectural Systems, Inc. (ASI) utilizes NuFlors' SetaGrip Technology for the new adhesive-free Gekko flooring line. "We're excited to partner with ASI to bring this revolutionary technology to the architecture and design industry. NuFlors, a New York based LVT flooring expert, has partnered with ASI | Architectural Systems, Inc., an industry leader in the commercial segment, to bring a much anticipated hassle-free and efficient option to the flooring industry. 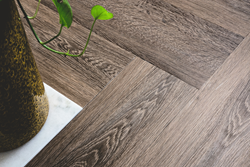 Earlier this year, ASI launched the exclusive Gekko Vitta LVT to the ASI Resilient Flooring collections. The product from ASI, Gekko Vitta LVT, uses NuFlors' SetaGrip technology to create an adhesive-free bond to any existing non-porous surface. SetaGrip’s patent pending vacuum suction layer uses nano-sized pores to generate a strong adhesion that solves the installation and maintenance problems brought on by other LVT products and installation methods. "We're excited to partner with ASI to bring this revolutionary technology to the architecture and design industry," says NuFlors Managing Partner, David J Kim. "We've engineered the first true hybrid, glueless system and we want to educate everyone... flooring experts, installers, architects, designers, etc. on the benefits of SetaGrip and why they should be using this technology." SetaGrip was launched in January of 2018, and first introduced to the flooring industry at BuildingsNY in May 2018. The flooring technology was embraced by the attendees who got to experience firsthand, the strength and efficiency of SetaGrip Technology. About NuFlors - NuFlors™' entered the flooring industry by sourcing PVC tiles for a major New England based importer since 1990. As the industry evolved, NuFlors™' focus evolved into developing sophisticated technologies for the advancement of what is now called Luxury Vinyl tiles (LVT) and commercial sheet vinyl (CSV). For over 10 years NuFlors™ has been focused on supplying private labeled products to some of the major flooring manufacturer brands in the United States. NuFlors' dedication to flooring innovations led them to develop and launch the breakthrough, patent-pending SetaGrip™ Technology flooring system. “ We’ve started RnD work for wall panels and other home improvements products and are excited to see where this technology will continue to develop.” says NuFlors Managing Partner, David J Kim. ASI curates dimensional wood panels, high-performing hardwoods, luxury vinyl and porcelain plus natural stone and decorative surfacing material to provide the right aesthetics for your design vision and budget with the added ease of finding it all in one place! To learn more visit http://www.archsystems.com.